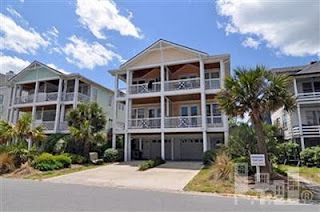 We are currently listing an exceptional 3 bedroom, 3 bath, seaside condominium for sale at 12 East Greensboro Street, Unit A, in Wrightsville Beach, NC. This property was completed in 2006 and offers ocean views from multiple decks. The home was constructed with beach friendly fiber cement board siding and includes convenient accessories such as an elevator, 2 car garage, a ground level shower, and a high end kitchen featuring a stainless GE Profile appliance package. The home also has hardwood floors, ceramic tiled baths, coastal cottage trim, and real wood doors throughout. This fine property is currently listed for sale at $765,000. If you are interested in more information or would like to view this Wrightsville Beach property please give us a call at 910-256-6998.